One of the largest and most extensive studies on the impact of aircraft noise on health, and on children’s education has been done in Germany. The NORAH study (Noise-Related Annoyance, Cognition, and Health) has been done by scientists from a range of different disciplines: medicine, psychology, social science, physics and acoustics. The work was done between 2011 and 2014, looking into exposure to aviation, road and rail noise in a large area around Frankfurt Airport and Cologne/Bonn and Stuttgart airports. One of the 3 sections of the study looked at noise and children, and this found that aircraft noise affects reading performance. A rise in the flight noise by 10 dB means a delay in reading development of about a month. With a rise in noise of 20dB the delay was 2 months. Also that the overall health and school-related quality of life of children is slightly diminished by aircraft noise. They did not find an impact of aircraft noise on language skills significant for reading. There were problems with noisy classrooms, with over a third in the worst affected classrooms unable to properly understand the teacher. Frankfurt, 4 November 2014. Children living in areas exposed to high levels of aviation noise learn to read more slowly than children living in quiet locations. This is the conclusion reached by the NORAH Child Study, whose results were presented today at a press conference at Frankfurt’s Literaturhaus. The child study is the first part of the NORAH Study, which is examining the effects on health of aviation noise in the Rhine-Main Region by commission of the Ge-meinnützige Umwelthaus GmbH. The study was reviewed by an advisory board of international scientific experts who certified its high scientific quality. 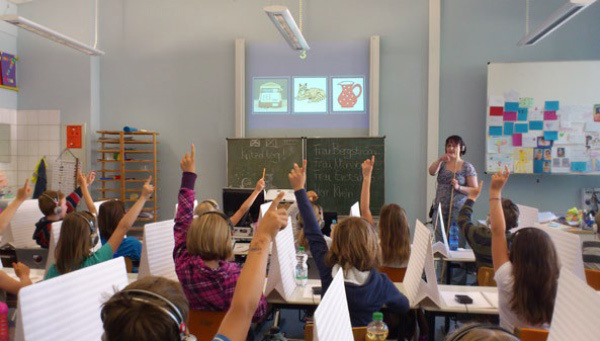 1,243 second-grade children at 29 schools in the Rhine-Main Region took part in the surveys and tests. In addition to this, 85 teachers and 1,185 parents answered the questions of the scientists from the Technical University of Kaiserslautern under the direction of Prof. Dr. Maria Klatte. 1. With strict controls against other influencing factors not related to avia-tion noise, it can be established that there is a connection between aviation noise exposure and a reduced ability to read in children exposed when they are still in the reading skills acquisition phase. The study also shows that it is necessary to look at other influencing factors in order to understand the scale of the negative effect. 2. The research hypothesis that aviation noise has direct effects on the ex-amined precursor skills for reading (for example on phonological awareness or listening comprehension) was not confirmed. The results of the study on the re-ported quality of life and on the disruption of classes by aviation show a connec-tion between increasing exposure and a negative influence on these items. The effects on the quality of life, however, are quite low in general; quality of life was evaluated as high at all locations. The teachers unanimously described the dis-ruption of classes in the high sound level ranges as considerable. 3. A higher number of medically diagnosed speech and linguistic disorders as well as a higher intake of prescribed medication at higher continuous sound levels were established; it was not possible, however to verify a difference in the ability to learn how to read compared with the non-exposed children. 4. Longer-term effects – in any direction – were not registered by the study. It is therefore not possible to make statements in one or the other direction. The percentage of children who, according to information provided by the school, go on to secondary school is just as high in the primary schools with high aviation noise exposure as in the less exposed schools. 5. In the opinion of the scientists, the study highlights the need for further research; the overall complexity of the issues involved makes it clear that there is no place for simplified, generalized and populist interpretations. “At the end of 2010, the contract for the noise impact study NORAH was granted to a consortium made up of 10 established research institutions. The aim was to examine at the highest scientific level the impacts of traffic noise and, in particu-lar, aviation noise on human health, wellbeing and intellectual development of primary school children. In order to achieve this objective, an independent, ex-ternal and international scientific quality assurance board was installed to ensure continuous critical assessment of the research work and review the results at the end. The noise impact study NORAH (Noise-Related Annoyance, Cognition, and Health) is one of the most extensive studies internationally on the effects of avia-tion, rail and road traffic noise on the health and quality of life of the popula-tion. Nine research and development institutions from the fields of medicine, psychology, social science, acoustics and physics have joined to form the NORAH research consortium. The investigations are carried out mainly in the Rhine-Main Region, but also in the regions around the airports Berlin-Brandenburg, Cologne-Bonn and Stuttgart. The client for the NORAH Study is the Umwelt- und Nachbarschaftshaus GmbH in Kelsterbach, a subsidiary company of the Land of Hessen. Alongside the Land of Hessen, the communities, Fraport, aviation companies and the UNH are in-volved in the financing. Imperfect translations into English from the original German, below. All studies show: aircraft noise bothered both adults as well as children. Several studies in recent years have can show that the general harassment at the same level of flight noise has increased. Noise causes stress reactions. Stress is a risk factor for high blood pressure and cardiovascular disease. Many aircraft noise studies show clear correlations between flight noise or air noise and high blood pressure and cardiovascular disease.The connections are especially evident at night-time aircraft noise, reduced in case of aircraft noise on the day. Sleep disorders – disorders of falling asleep, sleeping through or increased recovery responses – can be caused by aircraft noise. What impact does traffic noise have on the quality of life, health and development of children? These are the three main questions at the centre of the NORAH Study. NORAH (Noise-Related Annoyance, Cognition, and Health) is the most extensive study on the subject of noise impact so far. The scientists involved in the study come from a wide range of different disciplines: medicine, psychology, social science, physics and acoustics. They are working together to find answers to questions which have remained unanswered in noise impact research up to now. To do this they calculate the past and current, address-specific exposure to aviation, road and rail noise in a large area around the Frankfurt Airport. The researchers compare these values with data on the health, quality of life and development of a total of more than one million persons in the region. In addition to this, the scientists are surveying several thousand people in the areas around the airports Berlin Brandenburg, Cologne/Bonn and Stuttgart. The results of the so-called children module, a part of the NORAH study, were presented on November 4, 2014. All other modules is scheduled to be released at an international trade conference in the autumn 2015. The child module examined the effects of chronic flight noise exposure on performance in reading and language skills of precursors of reading, as well as on the quality of life in primary school children in the Rhine-main area. The noise impact study NORAH (noise-related annoyance, cognition, and health),which deals with the connections between noise, harassment, thought processes, and health, aims to get a possible representative and scientifically–proven description of the effects of the noise from the air, rail and road traffic on the health and quality of life of the affected population. Contracting authority of the study is non-profit Umwelthaus GmbH (UNH) in Kelsterbach. See information about the study the link NORAH noise effect study. – Aircraft noise affects the reading performance. A rise in the flight noise by 10 dB means a backlog in the reading development of about a month. – Impact of aircraft noise on language skills significant for reading (language awareness, phonological working memory and awareness, listen memory) could not be established. – The overall health and school-related quality of life of children is slightly diminished by aircraft noise. – According to their parents, children were not more acute or chronically ill. Parents from aircraft noise heavily residential areas often stated that their child was medically diagnosed a speech or speech disorder and that their child is currently prescribed medicines. According to the authors, this should be pursued in the follow-up. – Aircraft noise significantly impacts the education. To get detailed information about the study and all relevant documents results children module under the link NORAH Ergebnisse Kindermodul. (see sections copied below). NORAH study will cost a total of approximately €10 million. Hesse contributes a large part of the costs. Also the Fraport AG, Lufthansa, the initiative future Rhine-Main and 8individual municipalities in the surrounding area (including the city of Frankfurt am Main, Germany) participate in the financing. How does noise affect the child’s development and quality of life? This question is the children study performed within the framework of NORAH. For this purpose, the scientists of NORAH team tests, surveys and measurements at 29 schools, 85 schools, conducted in 1,243 children, 1,185 parents and 85 teachers in the Rhine-Main area. The study focuses on learning to read, the health and educational well-being of children and the noise pollution in learning at home and at school. Thus it links directly to previous studies in other locations, and attempts to answer open questions. In heavily loaded aircraft noise areas primary school children learn to read slower than children in quiet surroundings. The investigated second years an increase in the duration of the sound level by ten delayed decibels (A) learning to read by one month. The relationship is linear: the greater the load, the more the impairment of development. Direct effects of aircraft noise on precursor skills of reading as the sound processing or listening comprehension could not demonstrate NORAH. Aircraft noise affects the reading performance of children who are in the phase of learning to read. The relationship is linear: The greater the load, the more the development is impaired. The investigated second years an increase in the duration of the sound level by 10 decibels (A) delayed learning to read by one month. An increase in the duration of the sound level by 20 dB (A) led to an average delay of two months. For the study area of NORAH study means: In the affected areas most affected by aircraft noise, the residue is approximately two months. What affects learning to read yet? The NORAH study has examined not only the impact of aircraft noise on learning to read, but also other factors whose influence on learning is known – about the German language or the number of children’s books in the home. Only in this way it was possible to determine exactly how much aircraft noise acts on learning to read. With this data, the scientists were able to show that some of the investigated in the study factors greater than in aircraft noise on learning to read. For example, were children who have many books, the children without their own books in the text read by four months ahead. However, this can not be directly compared because parents can decide how much they want to help their children learn to read. On the other hand, aircraft noise, they have no control. In children with a migrant background NORAH scientists found no statistically significant association between aircraft noise and learning to read. However, this result should not lead to hasty conclusions. The authors of the study suggest that it comes into existence through a statistical effect: You might overlap with this subgroup so many factors that have an impact on teaching reading that it was no longer possible to reliably detect effects of aircraft noise. From the result, it can be concluded no circumstances, children with a migrant background are insensitive to noise. If only the children without a migration background, led an increase in the duration of the sound level by ten decibels (A) residue to a reading of 1.5 months. This means that the difference between the highest and the lowest exposed children in the study area was three months. Overall, the quality of life of the children examined in the Rhine-Main area is high – the most second graders feel very comfortable, healthy and like to go to school. Children in areas affected by noise strongly feel health but somewhat less well than children in quieter locations. In addition, interviewed parents gave in comparatively strong noise-polluted areas likely to report that their child is taking prescribed medicines, or that their child a speech or language disorder was diagnosed once. The affected children but differed in their reading performance not by the other children. The NORAH scientists were interested not only for the reading performance, but also for the health quality of life of children. The questions they asked the children and their parents, concerned, for example, the quality of sleep or the psychological and physical well-being. The results show that the quality of life of children in the study area is very high. However, the relatively highly contaminated with noise children and parents appreciated the health quality of life of children a slightly worse than the lightly loaded. The effect is small but statistically significant: With an increase in aircraft noise around ten decibels (A) the quality of life sank to the three- to five-point rating scales by an average of 0.1 scale points. Teachers from comparatively high people affected by noise areas consistently report that the noise disrupting lessons considerably. The lessons are interrupted by noise in many ways and the attention of children thereby often distracted. About a third of the children in these schools can sometimes poorly understand the teacher because of aircraft noise. Noise pollution is subjective: The same noise can interfere with a person more than another. Consequently, it can not of itself derived from the sound level, the extent to which people feel annoyed by aircraft noise. To find out, in the context of child study, scientists parents, children and teachers have asked whether, and if so, how much aircraft noise disturbs the children in learning. To find out if the children are disturbed by aircraft noise, they gave scientists a number of questions. For example, the NORAH team asked the second year, the statement “The noise from the planes to assess bother me in learning “. Four response options were available: “almost not true,” “not true”, “true fast” and “Does exactly”. In the group of children, there is a relatively higher aircraft noise at their schools, 27 percent stated that they the noise interferes with learning. The same answer selected in the group of low noise-exposed children only seven percent. The communication in the classroom suffers from aircraft noise: 38% of the children – over a third – in the most noise affected schools report that they sometimes only partly understand the teacher because of aircraft noise. Also communicate in the class suffers from aircraft noise: 38 percent of children – sostated about a third – in the highly contaminated schools, that they sometimes poorlyunderstand the teacher because of aircraft noise. Children’s responses to the statement “The noise from the planes bother me in learning.” In the groups with low, medium and high aircraft noise exposure. Of the teachers who NORAH scientists wanted to know how noise affects the teaching – for example, how often it leads to the disruption of teaching. The teachers in the comparatively high-affected by noise areas consistently report that the noise teaching interferes considerably: 24 percent said here that they would “very often” to interrupt their education due to aircraft noise, another 29 percent answered “often”. In the low-load areas, however, no one chose to “very often”, “often” or “sometimes”. Even with the questions for lesson planning, a relationship was to aircraft noise: 52 percent of teachers in high stress areas felt that the children “often” or would “very often” distracted from school because of aircraft noise, 57 percent considered in warm weather the windows closed principle, 76 percent said that aircraft noise even with the windows “often” or was “very often” to hear. Also outdoor activities are in schools with high aircraft noise exposure significantly less: 38 percent of the teachers in these areas agreed wholly or partly with the statement “Because of aircraft noise I’m taking the class less outdoor activities” to – compared to three percent of the medium loaded schools. To the lightly loaded Schools nobody chose these answers. Is there evidence of children in the Rhine-Main area, a harmful impact of aircraft noise on mental skills such as learning to read, linguistic skills, attention or memory? How exactly does the noise at the school to teach? How much does the noise the well-being of children in school and at home? How big is the impact of aircraft noise is compared to other factors? Studies that have been carried out in other European airport locations since the 1990s, suggest that a continuous exposure (exposure) can adversely impact of aircraft noise on the mental development of children. These studies have consistently showed poorer reading skills in noise-exposed children; partially negative effects on memory and attention skills were reported. However, these findings do not constitute evidence of a cause-and-effect relationship between aircraft noise and performance deficits. The cognitive development and academic performance of children are affected by many factors in the area of family background and education, related the part with the aircraft noise. In order to be able to perform any adverse noise-contaminated children causally related to the noise, this non-noise-related factors must be carefully controlled. This is often not carried out in the older studies sufficiently. In the planned children study the control of these factors close attention is paid to allow meaningful conclusions about the effects of noise on the child’s development. The quality of life study carries out surveys to investigate which noise burdens have how sharp an impact on the experienced noise annoyance and quality of life. The study on health risks examines whether disorders such as cardiovascular disorders or depression occur more frequently in people exposed to noise. The blood pressure study examines the link between blood pressure and noise exposure. In the sleep study the scientists examine the sleep quality of the study subjects in terms of the sound pressure in the bedroom. 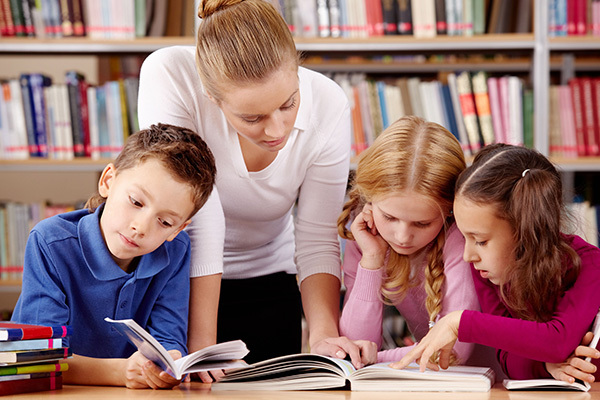 The child study looks at the intellectual development of primary school children as well as their reading abilities and their general quality of life under noise exposure. NORAH is not the first study on the effects of exposure to noise, but is built on the state of research up to now. All five sub-studies extend and deepen the insights from older studies. There are already, for example, indications of a connection between traffic noise exposure and the occurrence of cardiovascular disorders. How much noise from which source and at which duration has which consequences, and whether some people are more at risk than others is still, however, largely unknown. NORAH will, therefore, provide more precise results than the studies up to now. The basic fact that loud noise can make people ill in the long term is undoubted. As noise exposure only has effects on health over a long period of time, NORAH is also designed as a so-called longitudinal study. This means that the scientists not only examine the current status, but accompany the study subjects over a research period of three years. A precise reconstruction of the noise exposure in the last 18 years can even identify longer-term effects. The NORAH work in Germany is due to finish in 2015. NORAH (Noise-Related Annoyance, Cognition and Health) study. This paper focused on blood pressure monitoring using telemedicine to investigate the association between blood pressure and aircraft, road and rail traffic noise. The study arose from a requirement to conduct a longitudinal study on aircraft noise and subsequent effects, and was started in 2011 with the first results expected in mid-2015. The study is expected to provide several new insights, for example the change in aircraft noise exposure since previous studies, the comparison between different transportation noise sources, the relationship between noise level, annoyance and stress response and resulting impact on health. Exposure-relationship curves for awakenings have been produced by the DLR study team in 2001/2002 for Cologne-Bonn and this study aims to do the same for Frankfurt airport. This study will also examine if there is a change in sleep quality after a night flight ban from 2300-0500 at Frankfurt. The health measures that are examined in this study include blood pressure monitoring to investigate the effect of changes of aircraft movements and noise, resulting in an exposure-relationship for cardiovascular disease and aircraft noise. The analysis of health insurance data is incorporated combined with a case-control study including the assessment of individual risk factors of cardiovascular disease. Analysis of individual noise history, the impact of aircraft noise on children’s learning, phonological processing and nocturnal aircraft noise on cognitive performance is also included in the design of this study. This presentation concerned the longitudinally designed blood pressure study, which aimed to analyse whether blood pressure as well as the risk of cardiovascular diseases in total is associated with aircraft noise exposure, road traffic and railway noise and whether the changes in the flight operations due to airport expansion correspond with changes in the average blood pressure over time. The study includes residents living within the 40 dB contour, and individual exposure includes Leq, Lmax and Nx (number of events above a specified level). 2000 participants were trained to assess their blood pressure in the morning and evening on 21 consecutive days, and complete questionnaire on cardiovascular risk factors. The same participants were asked to repeat the same measurements in the follow-up study one year later. Bluetooth was used to send the blood pressure measurements to a mobile phone, which is then used to forward the real-time measurements to a secure database. effects, sleep disturbance and children’s cognition. of noise from road and railway noise) under change condition. & Community Center / Forum Airport & Region, Kelsterbach, Germany. Posted: Tuesday, November 25th, 2014. Filed in Blog, General News, Noise News, Recent News.